Flooding can cause serious problems if you get drinking water from a well. here's what you need to know. 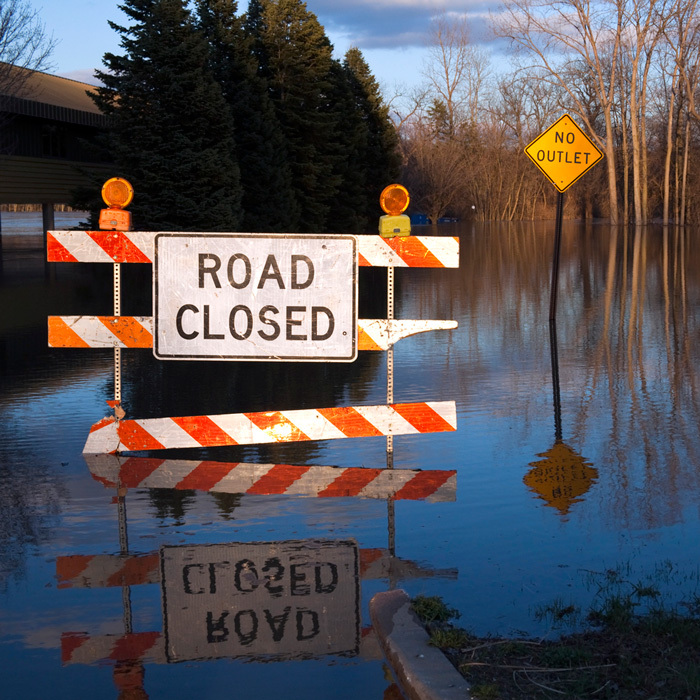 When heavy rains bring flooding to an area, people often don’t think about the damage caused to their well water, but if your area was recently flooded, your private well might be in danger of contamination from pollutants found in flood waters. How do I know if my well is contaminated after a flood? Often during periods of heavy flooding, state agencies will monitor the condition of local water supplies susceptible to contamination. Look for drinking water advisories from your state’s department of environmental services or the local board of health. If the flood waters have risen above your well cap, it is likely your well is contaminated. Immediate testing is recommended. If your well water is indeed contaminated, you will need to find another source of potable water for drinking, cooking and personal hygiene, like brushing teeth. Bottle water is the safest option. Often in times of disaster, municipalities or disaster relief agencies will provide bottled water, which can safe you considerable cost if the flood waters take the time to recede. You can also get water from another private water source if you know it is safe, or you can decontaminate your home’s well water by boiling it for five minutes. When the flood waters are no longer a threat, homeowners will need to address the well water contamination. This requires well disinfection, which you can do yourself, or hire a well professional to do for you. First, mix a disinfecting solution of unscented bleach and clean water. The ratio of bleach to water depends on the depth of your well. Next, remove the well cap and pour the bleach mixture into the well casing, making sure to thoroughly cover the walls of the casing with the solution. Next, you will need to get the water flowing within the well to circulate the bleach solution. Head inside your home and turn on all the water faucets one by one until you smell bleach. Allow the mixture to stand in the pipes for at least two hours and then flush the system using an outdoor garden hose to do most of the work. Because this requires the flushing of a large amount of water, do not run the water into your septic system. It likely cannot handle this volume of water in such a short period. Once the water is running clean again, conduct another test within 24 hours for bacteria and other suspected contaminants. The U.S. Environmental Protection Agency also recommends inspecting your physical water well components after the flood waters recede. When the flood also brings swift-moving currents, large debris can damage well casings and hardware on the outer well components. In some cases, floods can even cause wells to collapse. Inspect the outside of your well when it is safe and look for obvious signs of damage. You should also check the well’s electrical system, which can short in a flood. Is your well pump running? If not, there could be a problem with the electrical system. If the pump is running but is running more than usual, or you notice a large amount of silt and sand now flowing from the faucet, your well pump could be clogged. Hiring a well professional to clean the pump could prevent your well pump from burning out and the cost of buying a new one. If you have experienced a flooded well and need advice, contact the water well professionals at Skillings & Sons. We offer water testing, well inspections, well cleaning and can ensure your well water is safe to drink following a flood.